Outstanding wide-aperture, mid-telephoto performance with F1.4 brightness at maximum aperture, this lens incorporates 17 optical elements in 12 groups, an uncommonly large number of elements for a prime lens. By including three FLD glass elements, two SLD glass elements, and one aspherical lens element, the optical system minimizes axial chromatic aberration to deliver extremely high resolution along with ample peripheral light volume. 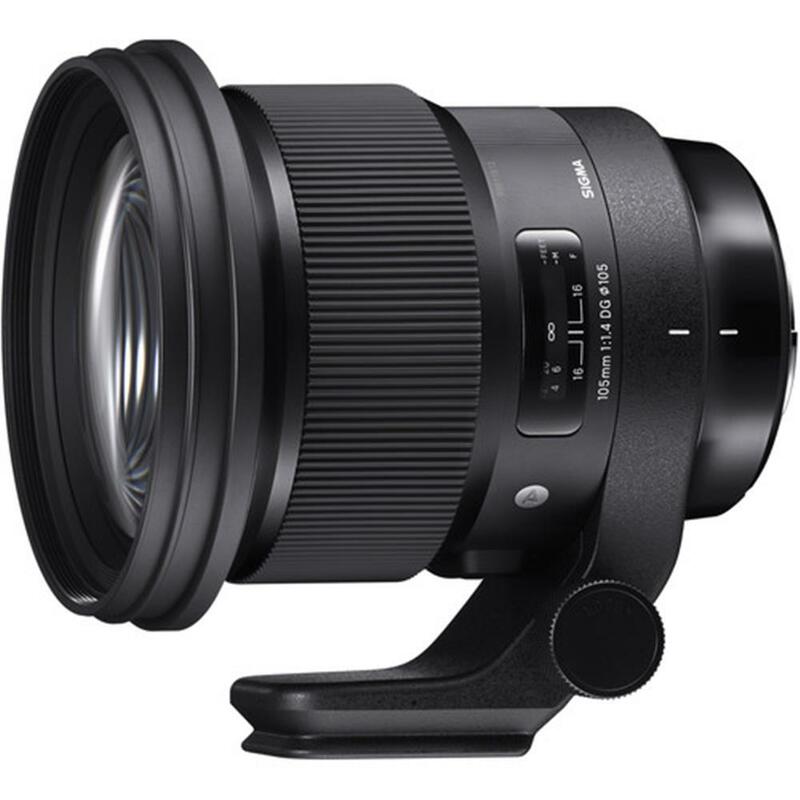 Like SIGMA's Sports line lenses, the 105mm F1.4 DG HSM / Art features a highly effective dust- and splash-proof structure, manual focus ring, cover connection, and other areas, allowing photographers to work in all types of weather. In addition, the front of the lens is protected by a water- and oil-repellent coating that makes cleaning easy. Instead of conventional ABS plastic, the exclusive lens hood features CFRP (carbon fibre reinforced plastic), a light but strong material used in the interior and exterior fittings of aircraft, among many other applications. The removable Arca-Swiss tripod socket is compatible with Arca-Swiss platform and clamps, and its exclusive protective cover makes the lens easier to carry and use when shooting hand-held. 1645 g / 58.0 oz.